This week’s workshop focused on social media in relation to CSCW. The presenters explored how issues of accessibility are accommodated in social networks, the role of copyright and open licensing in social media, social media relationship to crisis and world events, and the ethics and approaches around studying social media. All in all a great spread of coverage on the issues of social media. The issue of accessibility is critical when discussing any aspect of the internet. The internet is an incredible resource but can be difficult to access and navigate for individuals with disabilities. This presentation stirred up an interesting debate about whether the internet is a basic human right. According to a fairly recent United Nations report, disconnecting people from the internet is a human rights violation and against international law. In my view this would include creating content which was not accessible to users with disabilities. The Web Accessibility Initiative (WAI) from the World Wide Web Consortium (W3C) is an excellent resource to review as a creator of content on the web. In many cases it’s simply a matter of being organized and concise when building content. One of the challenges I face in my work around accessibility is encouraging users to add transcriptions to their video. Transcripts are necessary for the hard of hearing and are also incredibly helpful for non-native speakers of a language. While automatic voice to text systems are emerging, they are a long way from being accurate enough to be relied upon. This was a useful presentation covering the various options popular social networks offer in terms of licensing user generated content. While many systems still do not even mention copyright when accepting user content, sites like Flickr, YouTube and Slideshare do offer the option of using an open licensing system such as Creative Commons. Creative commons provides a clear explanation about what people who find your work online can do with it. In my opinion if we are putting something online, we are quite likely happy to have it shared and reused by others. Creative Commons licenses enable people who find your work interesting to do something creative with it. In all cases Creative Commons (except CC0) maintains your right to attribution. See the graphic below for a visual of the range of licenses and their attributes. One of the questions I often get about Creative Commons is, how do I obtain a license, how do I apply Creative Commons to my works? 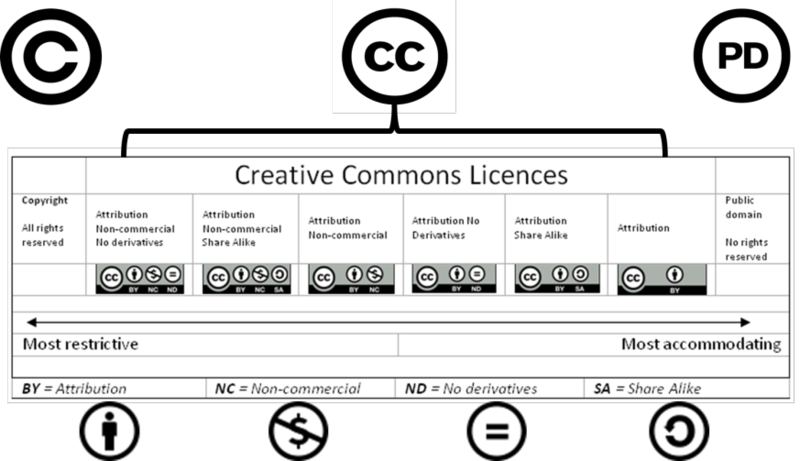 It is as simple as noting the license and/or displaying the Creative Commons badge on your work. One of our classmates @breckwagner has been doing this on his blog posts each week, showing how simple it actually is to apply Creative Commons. This presentation explored how social networks are changing the way international events play out. Social media in this case allowed residents living among drug cartels to communicate and navigate among dangerous criminals. The presentation also suggested that having access to this discourse actually began to desensitize people to the horrors of the situation. With that in mind I reflected on the fact that social media can be helpful in these situations as well as traumatizing. I have a great interest in studying social networks. I did some work visualizing an incident as it played out on twitter during my masters study here. In collecting the discourse on Twitter as the incident unfolds one can play back and investigate the way communication spread and proliferated. Tools to do this kind of analysis are available. Check out NodeXL which is an Excel plugin for social media analysis. Tags is another useful tool which allows for the collection of tweet around a particular hashtag or search. This is an emerging area of research and as such both researchers and subjects are not quite yet clear on the ethics. While we do sign away our rights to privacy and data access in user agreements with social media, many still expect not to be studied explicitly. The problem as identified in class is that no one reads these agreements and thus has no recourse to complain when their data gets used. We had the pleasure of hearing from Jeff Hancock one of the co-authors of the paper ‘Experimental evidence of massive-scale emotional contagion through social networks’ published in the Proceedings of the National Academy of Sciences. This example is interesting because it was a published study and attracted so much attention. I am confident that large social networks are doing similar things on an ongoing basis in order to target marketing and apply their own research. So in the end, it is a great thing that this was exposed and so many took offence to it as it raised awareness to the fact that our data fed into social networks is not exclusively ours any longer. Kramer, A. D., Guillory, J. E., & Hancock, J. T. (2014). 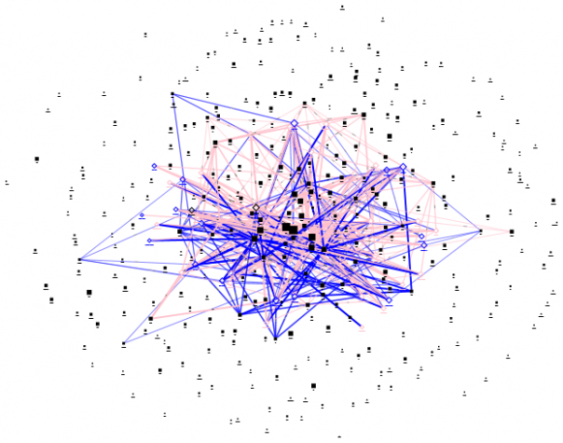 Experimental evidence of massive-scale emotional contagion through social networks. Proceedings of the National Academy of Sciences, 111(24), 8788-8790. CSCW 586 Blogs: Reflections on Social Media Workshops by Michael Paskevicius is licensed under a Creative Commons Attribution 4.0 International License.